Visual Studio extensions are valuable tools that enhance the day-to-day workflow, keeping the IDE fresh with new functionality, tailored for your work style. We’ve seen fantastic extensions developed by both Microsoft and the community, including several that saw over a million downloads each. Editing and inserting new text into the editor in multiple locations, all at once. I will give you an explicit overview on how to get started with Extensions, and the different pieces that will allow you to build similar experiences. However, implementation elegance and efficiency are not a priority in this tutorial. Let’s describe a normal use case for this extension. Jill has three loops in a function and wants to change the loop condition for all of them at once. Normally she’ll just go and modify each loop statement separately. With Multi-Point Edit she can edit the conditions simultaneously. Finally, she Left-clicks (without ALT) to exit multi-point edit mode. Name the project MultiEdit, and press OK.
Double-click on the source.extension.vsixmanifest, and set the Author property to your liking. This step is required in order to build your extension. Right-click the project in Solution Explorer and select Add->New Class. Name the file MultiEditCommandFilter.cs, and delete everything from the template. MultiEditCommandFilter is a standard class that inherits from IOleCommandTarget, allowing it to communicate with and receive keyboard input from Visual Studio. This allows our extension to capture and provide keystrokes functionality in the editor. Let’s add a few fields to our class: m_textView (Line 3) will hold a reference to the Visual Studio editor this class will interact with. m_nextTarget (Line 4) will hold the reference to the next command Visual Studio should activate after our extension finishes processing (more on that later). m_adornmentLayer will hold the reference to the adornment layer, or drawing canvas, where all our newly drawn visual aids reside, layered on top of the text editor. Adornments define visual effects that can be added either to the text that is displayed in a text view or to the text view itself. Adornments derive from UIElement and are graphic elements in the Visual Studio editor, layered on top of one another in a specific z-order. For example, the red squiggle underline used to mark non-compiling code in many programming languages is an adornment. Combining text, shapes, images and other UI elements allows drawing compelling adornments on an adornment layer. There are two types of editor adornments: Text adornments and viewport adornments. Viewport adornments focus on placing visuals relative to the editor’s visual surface. Text adornments focus on scenarios where the extension inspects portions of the code adding visuals pinned to that text relative area. Coloring a specific character occurrence (‘a’) in the editor. We’ll add a constructor that facilitates getting access from Visual Studio to the text editors we will interact with. Line 11 retrieves the adornment layer we call “MultiEditLayer” and stores it in a private field. We’ll use the layer reference when we’ll want to draw on our editor surface. Implementing the IOleCommandTarget interface, MultiEditCommandFilter becomes a command target, receiving command notifications it can handle. The next code we’ll add is a method called IOleCommandTarget.Exec() (Line 1). The IDE calls this method to perform our extension’s main functionality. Imagine an infinite loop running in Visual Studio, occasionally calling our extensions’ .Exec() method giving MultiEdit a time slice to operate. Once the MultiEdit extension finishes it’s operation, we indicate (Line 3) that whoever is next in the loop should get their time slice. It is crucial to minimize the time spent inside the .Exec() method, to keep the IDE as responsive as possible. Add a new method called IOleCommandTarget.QueryStatus() (Line 1). This method reports our command status to Visual Studio and controls whether our command is enabled or disabled for the current IDE state. Add another new class to the project, name it MultiEditFilterProvider.cs, removing any text provided by default. Getting called by Visual Studio needs us to register our class as an extension. We define a new class called MultiEditFilterProvider that inherits from IVsTextViewCreationListener. This class contains metadata for the IDE classifying it as an extension, defining the resources it wants access to (Adornment layer and editor). IVsTextView contains methods to manage the text view. The view represents the editor window shown in the user interface (UI). Add a new internal field of type AdornmentLayerDefinition and call it m_multieditAdornmentLayer. This field is going to store the adornment layer we’re creating for our extension. We’ll use this layer to draw on the editor. In order to make this a layer the editor can understand, we’ll need to add some attributes to this field. The first Export attribute is necessary to hook up the MEF extensibility points of this extension. Next create a Name attribute assigning a name for our adornment layer. Finally, create the TextViewRole attribute to indicate that we’re interested in listening to text views that can be changed using the keyboard. Our extension is only relevant to editors, and we’d like Visual Studio to assign our extension to every editor created. 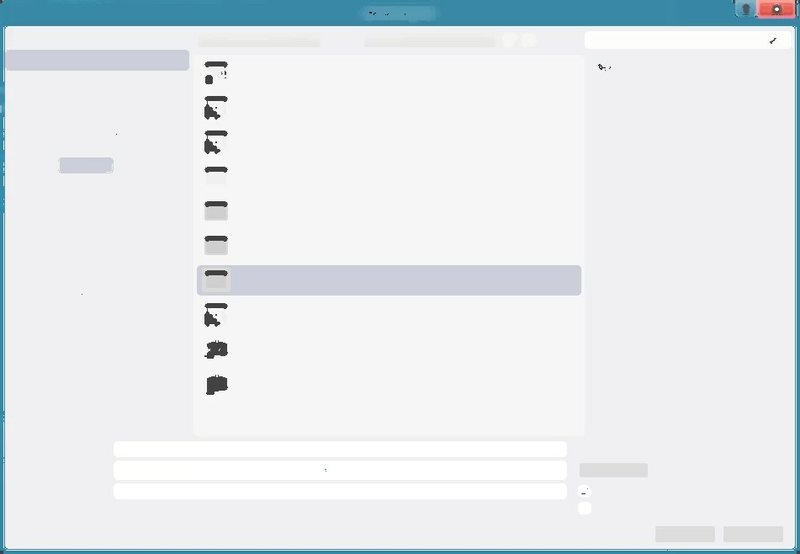 Every IVsTextView represents an editor window shown in the user interface and by adding a new method called VsTextViewCreated(), we add our extension to every time an editor is created. While there are several other interesting tidbits to dwell into, we’ll keep our focus towards building the Multi Edit Point functionality. We only want to attach the Command Filter to the View once, and to avoid multiple attachments, we use the internal boolean m_added to indicate whether the Command Filter has been already attached to the editor view. Building the code at this point succeeds, and should give you an idea whether you followed the tutorial steps correctly. requiresHandling indicates whether our extension should be processing logic during that specific call. For example, consider when the.Exec() method is called in response to a right mouse click; our extension shouldn’t react to that request. requiresHandling should be set to false to avoid any unnecessary processing. Let’s start off by changing the IOleCommandTarget.Exec() method. We will check the state information passed from Visual Studio, and inspect whether the user left mouse clicked while pressing the ALT key, and if it was, requiresHandling is set to true. // When Alt Clicking, we need to add Edit points. Place a break point on the requiresHandling = true; line (Line 7 on the last code box), and debug the extension. When the experimental Visual Studio instance loads, open a new or existing project that has some text in it. Hold ALT and left click on some text within the editor – the debugger will kick in and break. One scenario that we need to think about with edit point tracking is that the position of the edit point can move if the user adds text after setting a point. For example, consider a long string of characters (‘aaaaaaabaaaaaaaa’) and an edit point set right after the ‘b’. If we add a few ‘a’s before that edit point, the entire string is pushed forward and our edit point has just moved positions in the editor. Since we still want the edit point to be right after the ‘b’, we’ll need to track the edit point position as text is added. Luckily the editor provides us an easy way to track points even when they change due to character insertions. Next, add Lines 7 to Line 16 to the existing code in IOleCommandTarget.Exec() right under the code we’ve written in the last section (a complete view of the code is available if you scroll down to the next section). Lines 10 and 11 are identical to Lines 3 and 4 that have been explained in the previous section. Their function is to detect a left-mouse click while the ALT key is pressed. Once we detect the left-mouse + ALT key, we need add the edit point location to a list, for later retrieval. We then redraw the adornment layer to update the view with all existing edit points. Note: You will need to add a “}” bracket to the end of the file, to balance the brackets. Next we’ll look at the AddSyncPoint() method implementation. We first detect a left mouse click inside the editor while the ALT key is pressed. Then we find out where it was clicked, save and track the location in case the editor text changes. Let’s look at the AddSyncPoint() method we’re now defining. Line 4 gets the text caret position set by the left mouse click. This gives us a position relative to the text placement instead of a pixel position. Line 5 takes the position of the caret, and builds an ITrackingPoint object (tutorial here) so we can keep track of the location, in case text changes pushes it around. Think of an ITrackingPoint object as a pin placed on text location, if the area moves, the pin moves with it. Set a breakpoint on Line 56, start debugging, load (or create) a project in the newly opened experimental Visual Studio IDE, write some text, hold ALT and left mouse click on some text in the editor. If things worked out right, the debugger should kick in, and you can step through the function lines to see the caret location being fetched and saved. Next up, let’s draw some stuff so we can SEE things! We’ve successfully saved locations we’d like to present as edit point indicators, and now we need to draw them on our adornment layer (called “MultiEditLayer”). In the last section we introduced an empty method called RedrawScreen() for that purpose, now is the time to implement it. To visualize an edit point, we’ll draw a small pink rectangle at every Alt-Left-Mouse click position, edit point behavior will mimic a normal caret. To draw on the editor, we’ll need the drawing location and a shape to draw with the coloring properties set. Line 4 provides the position needed for the graphics object drawing area, and we create it using the point we’ve tracked and passed as an argument to the drawing method. Line 6 defines the brush and color we’re interested in using for visualizing our edit point. Line 7 gets the text marker geometry for the specified range of text in the buffer. Line 9 checks whether the point we’re tracking is visible in the current user screen. If drawing.Bounds.IsEmpty is true, then there’s no reason for us to create a visual aid for it. Think of the scenario where the user added an edit point, then scrolled far down, taking that edit point outside the view. Redrawing the screen with the point out of the current screen view, calling drawing.Bounds.IsEmpty returns true. On Line 12, we create the pink rectangle that we will be showing on the adornment layer. You can test out the code and see the effects when scrolling around. We’ve added the edit points, but now would like to return to normal operation, and we do that by simply left-clicking anywhere without ALT pressed. Clearing out the edit points needs us to clear the adornment layer we’ve been adding visuals to, and return the internal structures to an initial state. Keeping Visual Studio fast and responsive needs us to minimize processing time when the user left-clicks inside the editor (that’s a lot of clicks). Processing left-clicks without ALT pressed is necessary only when edit points are already placed. You’re now able to add points, and cancel them out by left mouse clicking without ALT, go ahead and try it. We’ve managed to place edit points and cancel them out as needed, now we’d like to actually allow synchronized typing. When we type ‘a’, we’d like it to show up at every edit point, including the normal caret position. We first need to capture the moment when a character is typed while there are edit points in place. We now want to insert a character at every edit point we’ve tracked. One important realization is that we don’t need to handle the last edit point. Since the text caret is already there, the default behavior of typing will take care of the last edit point. We insert the character to every tracked point, excluding the last one. To insert text into the editor, we have to create an edit session as shown on Line 5. This signals to the editor that we’re going to alter its content. We then iterate over every tracked point but the last, and use the .Insert method to add the single character inputString to the position defined by the tracking point. // the default IDE behavior will insert the text as expected. The backspace, delete and TAB functionalities follow the same pattern of check-and-handle. We will present the full source code once we go over the specific handler code for these 3 scenarios, starting with the delete functionality. Backspace emulation is very similar to deletion, with the difference being the character removal position: edit point position – 1. TABing is the simplest of cases, inserting the “t” string into the text buffer, much like we did for typing characters. I’d love to hear your comments, feedback and questions!  Archived in Visual Studio and tagged Command Filter, Drawing Points, Editor Extension, Visual Studio. Bookmark the permalink. Thanks for a detailed and informative tutorial, just one comment the links in “Putting it all Together” fro MultiEditCommandFilter.cs and MultiEditFilterProvider.cs both result in an HTTP 404 error.